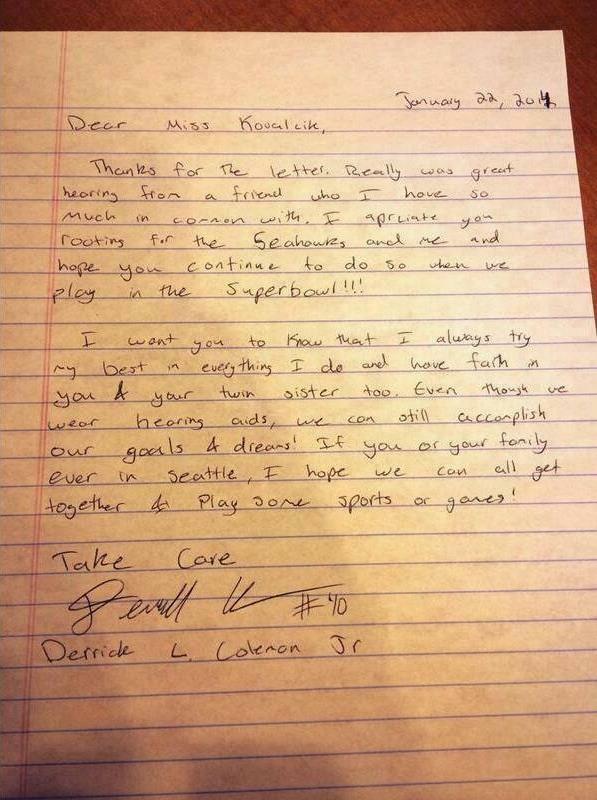 Share the post "Here’s What Happened When A Deaf Little Girl Wrote A Letter To A Deaf Football Player"
Derrick Coleman, a fullback for the Seattle Seahawks, is going to the Super Bowl this year. However, that’s not why people can’t stop talking about him. Derrick became deaf when he was only 3 years-old and is known for wearing hearing aids. His biggest fan just happens to be a 9 year-old New Jersey girl named Riley who also has hearing issues. She wrote him the sweetest letter. 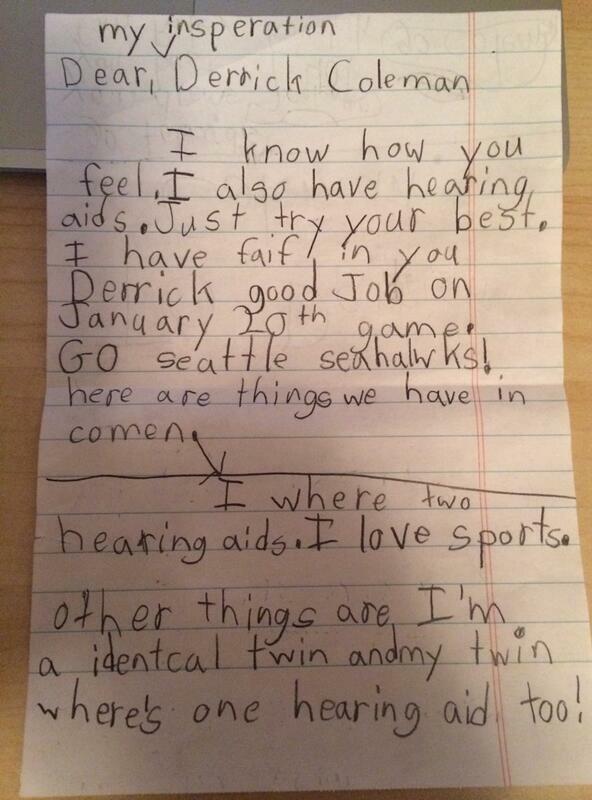 Riley wrote a tear-jerking letter to Derrick, telling him that he is her inspiration. Riley’s dad tweeted the letter to Derrick Coleman, and was probably shocked at what happened next. 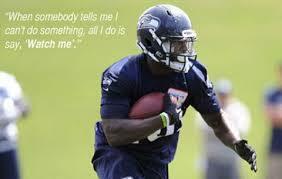 The deaf running back, who currently plays for the Seattle Seahawks, was deeply touched by the letter. He wrote a heartwarming letter back to her and it really shows what an amazing person he is.